TRAFFICNOW IS DEDICATED TO THE DESIGN AND DISTRIBUTION OF ROBUST ROADSIDE EQUIPMENT AS WELL AS COMPREHENSIVE CENTRALIZED SOLUTIONS FOR BIG DATA TREATMENT. Nearly 15 years experience as a lawyer specialized in tax, business and finance. Nearly 15 years experience with production, quality management, certification and ISO standards. Nearly 15 years experience with traffic management, intersection control and detection systems. TRAFFICNOW COMBINES DECADES OF TRAFFIC SENSOR EXPERIENCE, AT AN INTERNATIONAL LEVEL, WITH GREAT KNOW-HOW IN RESEARCH AND DEVELOPMENT WITHIN THE WORLD OF TELECOMMUNICATIONS. THIS PUTS US IN A UNIQUE POSITION TO OFFER ROADSIDE EQUIPMENT THAT MEETS CUSTOMER DEMAND, AND SATISFIES THE REQUIREMENT IN THE MARKET FOR QUALITY AND TECHNOLOGY. The DeepBlue Core is the trafficnow centralized software for generating travel times, congestion alarms and traffic data. The Core uses real-time data quality assessment, and adapts the data intervals according to the statistical probe quality. The system offers a series of different algorithms and filters to adjust to all types of roads and infrastructure. The DeepBlue Core+ is the trafficnow data analysis tool offering a a great amount of matrices for origins, waypoints and destinations. The Core+ allows studying the flow and distribution of the traffic in and around a city. The system provides extensive information about who uses the roads, the lengths of the journeys; vital information for mobility planning. 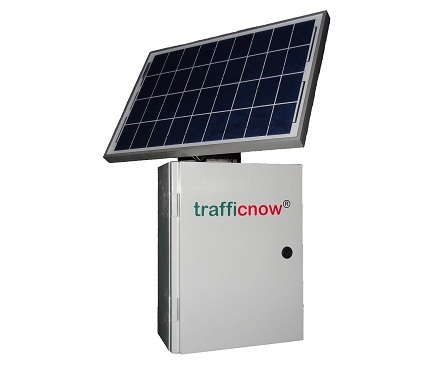 Trafficnow offers a full turnkey solution. 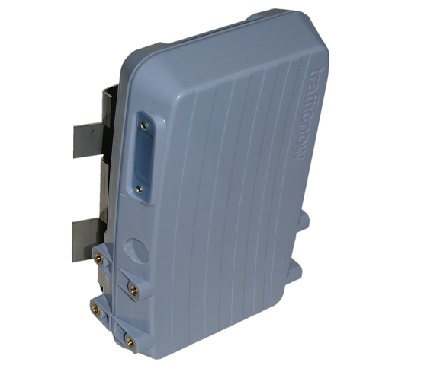 The roadside sensors have an onboard 3G modem, and take full control of the data transmission. The sensors can also be delivered with a solar panel. The DeepBlue Core centralized system can run on trafficnows Virtual Control Center, which is a web-based tool. The system receives and treats the data in real-time, and displays travel-times, and traffic distribution on a GIS-based interface. 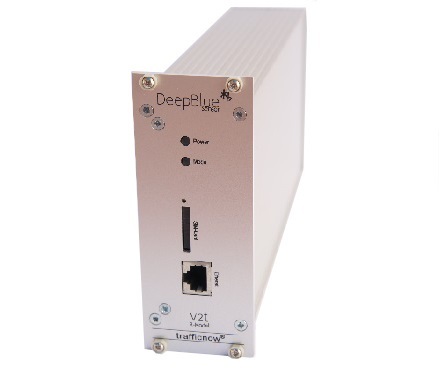 The DeepBlue Sensors are typically installed in 10-20 minutes, and can be used for temporary installation to study specific traffic cases to gather origin/destination and/or travel time information. The low power consumption allows placing the sensor in a small box with a battery that could give, for instance, 5-6 days of operation. By using SIM-Cards the sensors send information in real-time; which allows supervising the installation. 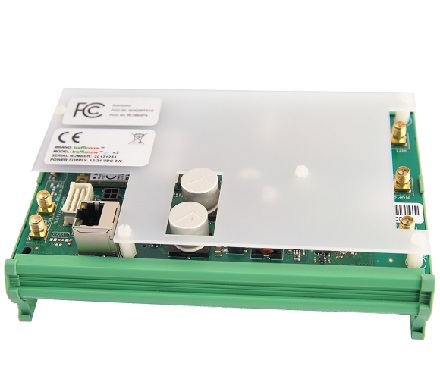 The Bluetooth channel is used for device-to-device data transmission for a limited amount of data; the channel is efficient and cost effective. Bluetooth communication is used by mobile telephones, hands-free sets, GPS navigators and more. All these Bluetooth emitting devices have a unique, but anonymous MAC address, which can be read through an inquiry from a powerful roadside sensor. This is done without putting into jeopardy the privacy of the owner of the device. Reading the MAC addresses in multiple sensors allows generating travel time information for improved traffic management, and creating origin/destination matrices that can greatly assist in understanding how citizens use road networks. Wi-Fi is a wireless local area network that allows high-speed connection between multiple devices simultaneously. Wi-Fi does not require pairing such as Bluetooth. The technology is typically used for providing internet access wirelessly. Smart Phones typically use Wi-Fi in search of internet-connectivity. A powerful roadside sensor can listen for incoming requests from Smart Phones, which then display their anonymous MAC address. This is done without putting into jeopardy the privacy of the owner of the device. Reading the MAC addresses in multiple sensors allows generating travel time information for improved traffic management as a supplement to Bluetooth technology. Microwaves are a form of electromagnetic radiation with wavelengths ranging from one meter to one millimeter; with frequencies between 300 MHz (100 cm) and 300 GHz (0.1 cm). The technology has a broad specter of applications. 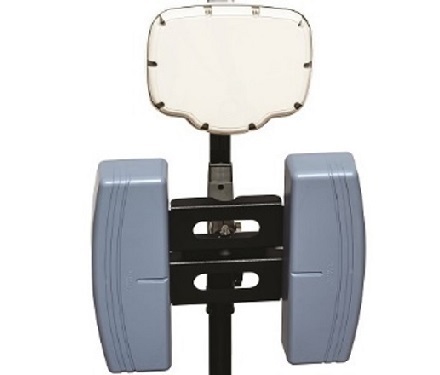 The K-band (18-24 GHz) permits emitting focused, narrow beams that are then reflected when hitting objects. An efficient microwave radar can be used to measure the distance to objects in the path of its microwave beam. This ranging capability allows it to detect moving and stationary vehicles in multiple detection zones. A microwave radar can monitor the traffic in various lanes, from the side of the road, and report back traffic volumes, vehicle lengths and speeds as well as the occupancy. Bluetooth technology uses the unlicensed 2.4GHz network, in coexistence with other technologies, such as Wi-Fi. Therefore Bluetooth uses something called frequency-hopping spread spectrum; splitting the data into small packets that are transmitted on one of 79 designated Bluetooth channels. This as an adaptive technology that helps avoiding interference. The inquiry process, which is what is used to discover nearby Bluetooth devices, uses 32 of these 79 channels. A Bluetooth device in a vehicle can be at any of these frequencies at any time. Roadside sensors need to search these 32 channels continuously to find the devices that may only be in range for a few seconds. Some of this devices may be in a pocket hidden inside a vehicle which serves as a metal shield. Wi-Fi technology coexists with Bluetooth in the 2.4GHz band. The technology is designed for transmitting larger data quantities, and at much greater speed. 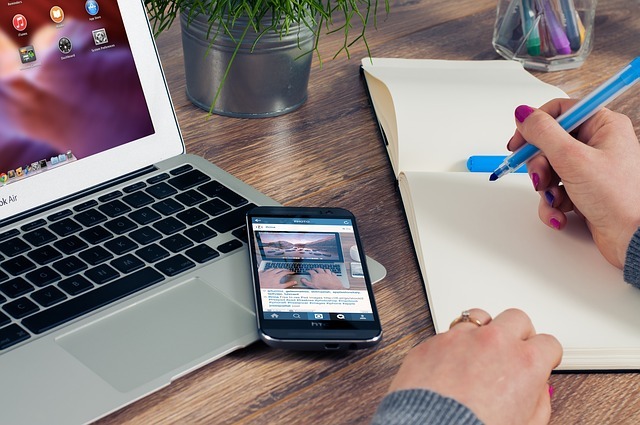 Wi-Fi works the opposite way of Bluetooth; rather than responding to inquiries smart phones make themselves visible by searching for Wi-Fi connections, which are typically related with an access points. A roadside sensor works at the mercy of the frequencies at which each device searches for Wi-Fi networks. One of the downsides to Wi-Fi is the significant power consumption; therefore the search is often inactive when the screen is off. Another challenge with Wi-Fi is that the MAC address may change periodically; this makes it less suitable for tracking. There are numerous challenges in collecting accurate traffic data. The challenges are even greater when wanting to do this in a non-intrusive way; when performing this task through installing a device on the side of the road without the need to close the traffic, and risk the safety of road workers. The microwave radar addresses this by using launching highly focused narrow-beam pulses in perpendicular with the traffic. There are significant challenges with being on the side of the road; challenges such as the occlusion of larger vehicles, the different height levels and the separation barriers. There are other physical challenges such as the necessary to setback to the nearest lane and the lane separation complexity as you move to the furthest away lanes. 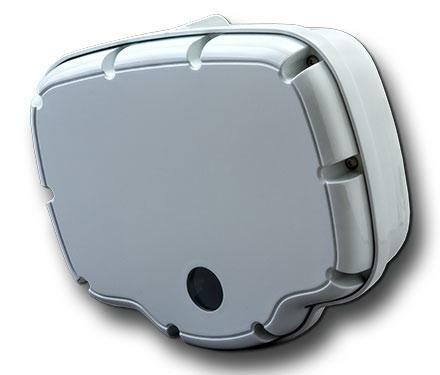 The DeepBlue Sensor is a product designed by trafficnow for the harsh roadside environment. The product relies on components that ensure maximum meantime between failure, and maximum temperature range. To get the best possible capture of Bluetooth devices we use the most powerful modules available. This gives the DeepBlue Sensor the best sensitivity in the market. The DeepBlue AA antennas are designed to optimize the scan area; the open horizontal angle permits having the vehicles within range for a longer time within wasting energy behind the sensor; the closed vertical angle keeps the sensor from sending energy up into the air, and down into the ground. The opposite polarization of the left and right DeepBlue AA antennas allows using dual channel scanning with minimum interference between the two channels. When using two Bluetooth channels the DeepBlue Sensor can detect vehicles twice as fast. This design turns the DeepBlue D-model into a true side-fire Bluetooth sensor for up to 12 lanes of traffic. 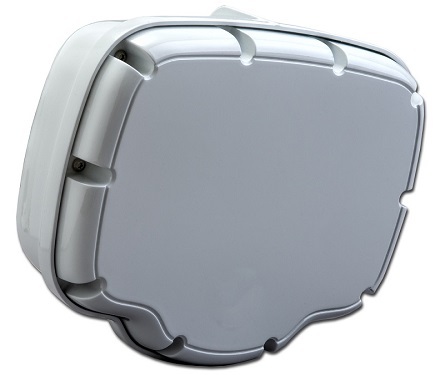 The DeepBlue Sensor is a product designed by trafficnow for the harsh roadside environment. The product relies on components that ensure maximum meantime between failure, and maximum temperature range. The Wi-Fi module is an optional onboard design that perfectly coexists with the Bluetooth scanning module. The shared frequency range between the two technologies allows taking advantage of the DeepBlue AA antennas. 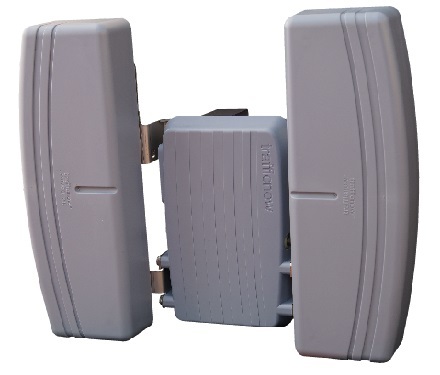 The antennas offer the same characteristics and advantages for Wi-Fi as for Bluetooth; the scan area is optimized, giving us the best range by focusing the energy where the traffic is. The RTMS SX-300 is designed by Image Sensing Systems; it relies on components that ensure maximum meantime between failure, and maximum temperature range for the roadside environment. For this reason Image Sensing Systems now offer 5 years warranty as standard. The RTMS SX-300 offers the maximum market standard of complete per lane traffic data collection for up to 12 lanes form the side of the road. This is achieved through high resolution detection, and an automatic lane configuration tool. The high resolution algorithms not just improve the lane separation capabilities, but are also a great tool for dealing with noise around central barriers. SX-300 can also offer zero setback for urban environments or bridges where there is no possibility to install the sensor away from the first lane. Departments of transportation, or highway concessionaires have the strategic responsibilities for overall management of the highway networks around the world. Responsibilities could include obligations such as providing maximum road benefit to the greater number of people for the minimum expenditure or cost to the economy or providing improved roads to areas of administrative and district centers with regard to the resulting economic or social development of the area of population. Within the authority for setting standards for coordinated planning, for collaborating with district councils, with other departments, for assisting local road authorities there is a need for traffic management. Quality traffic data is the basis for efficient traffic management. More and better data gives a better basis for managing the road network. The ability to be able to install equipment for gathering this data in a non-intrusive way is important for the safety of the road workers. Image Sensing Systems and trafficnow collaborate offering a true side-fire product for up to 12 lanes of traffic that can provide per lane traffic data as well as travel-times and origin/destination matrices. The RTMS SX-300 D-model offers an image of the occupancy at a point as well as the ability to track the vehicles between the points. By combining the best of two worlds we set the standards for non-intrusive detection, and give you get an extra dimension to the data provided. Traffic Network Solutions S.L. (trafficnow) is fully committed to generating long-term added value in a sustainable, ecological and ethical manner. We follow a strict Code of Conduct in all our business processes, and have embedded ISO-based quality procedures throughout the full hardware and software design, manufacturing, assembly, delivery and customer support procedures. trafficnow is a manufacturer and distributor of quality products for the roadside environment. The products are designed to ensure the best possible detection available; non-interrupted operation; the most robust data transmission. Sustainability is a strategic and managerial approach integrating our economic, environmental and social performance in order to create and protect tangible and intangible value in an ethical way. trafficnow is a global player in the Intelligent Transportation Systems market with installations in more than 30 countries. At trafficnow you will be part of a small team, where everybody is important, where we have great projects in a market which is experiencing amazing changes. Join us in providing real-time information about the traffic that surrounds us. We are looking for an intern for front end development. – Part time (20h/week) front end web developer student contract/internship. – Possibility to work in the growing sector of sustainable mobility and smart cities. – Be part of a small but highly enthusiastic development team. – Supervise the launching of future projects, leading the development team on a Scrum based methodology. – Work closely with all the departments of the company, in a friendly and fun environment. – Flexible working hours, according to company policy. – Access to company’s PluralSight training platform. – Office in Barcelona city center. – Student in Bachelor’s/Master Degree in Computer Science or equivalent. – Availability to maintain a technical conversation in English. – Experience with GIT or SVN. – Interest in Statistics and Machine Learning techniques. – Self learner and motivated. – Ability to work in a fast changing environment. – Critical vision to find points of improvement of the platform. – Being at the cutting edge of new technologies. – Excellent communication skill, working with multiple stakeholders. 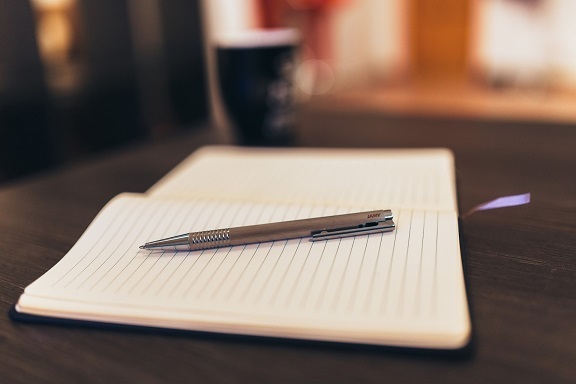 – Start-up and entrepreneurial spirit. SAPN, a division with SANEF Highway Concessions, has installed about 100 Dual Channel sensors along the highways around Paris. the sensors are used for real-time traffic information through VMS and radio, as well as incident management at their traffic control center, and also for queue monitoring at toll stations. Istanbul Metropolitan Municipality has installed more than 450 DeepBlue Sensors and the centralized DeepBlue Core travel time system. The travel time information is to be displayed through VMS panels, web and smart phone application. Wisconsin Department of Transportation and Great Lakes Region Transportation Operations Collaboration are using almost 200 DeepBlue Sensors for Bluetooth travel time monitoring. The city of Vigo has totally 67 DeepBlue Sensors for real-time traffic information and origin/destination studies around the city. Access your Virtual Control Center project here. trafficnow has received funding by organizations such as ENISA and CDTI (NEOTEC II) to support its innovative efforts.